The mountain in the horizon, (is it in or on the horizon? ), shows almost the entire, approx 81.6 ac. This is the view coming State Highway 4 with Fenton Lake to my back. 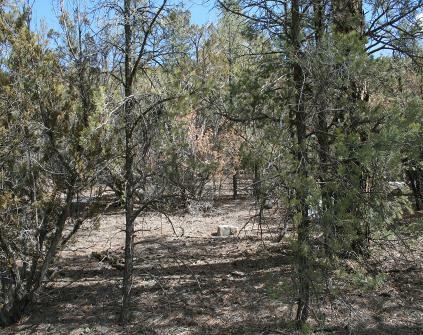 Upper right was taken from the southern end of the property showing probably 1/2 of the property looking North. Is the property steep? A lot of the property is steep but you have to remember you are in the mountains at approximately 8000 ft. elevation. Remember I stated in the upper left photo that Fenton Lake is to my back, that is to my back. Upper right photo show some of the topography of the property. There are numerous building spots on this photo where you get some nice views.